UPDATED: Mon., April 16, 2018, 6:45 p.m.
NEW YORK – Domino’s, which has been bringing pizzas to doorsteps for more than half a century, will now deliver to the great outdoors. The pizza chain said Monday that its drivers can meet customers at U.S. beaches, parks and landmarks to hand over pizza, cheesy bread and other food on its menu. The outdoors certainly beckons in the Inland Northwest, and there’s no shortage of hotspots in region, with the company’s website listing scores of the delivery locations. Customers from Cheney to Coeur d’Alene can literally dine out with pizzas delivered to such places as Myers Park off South Cheney-Spokane Road, Riverside State Park, Mirabeau Park in Spokane Valley, Falls Park in Post Falls, Honeysuckle Beach on Hayden Lake and Independence Point in downtown Coeur d’Alene, to name only a few. Delivery is a key part of the company’s business, and it has been aggressive in making it easy to order through tweets, text messages and Amazon’s voice-activated Echo. But competition has grown from other fast-food chains that are offering more delivery options. McDonald’s has a deal with online service UberEats, and the parent company of KFC and Taco Bell recently teamed up with Grubhub to expand delivery. 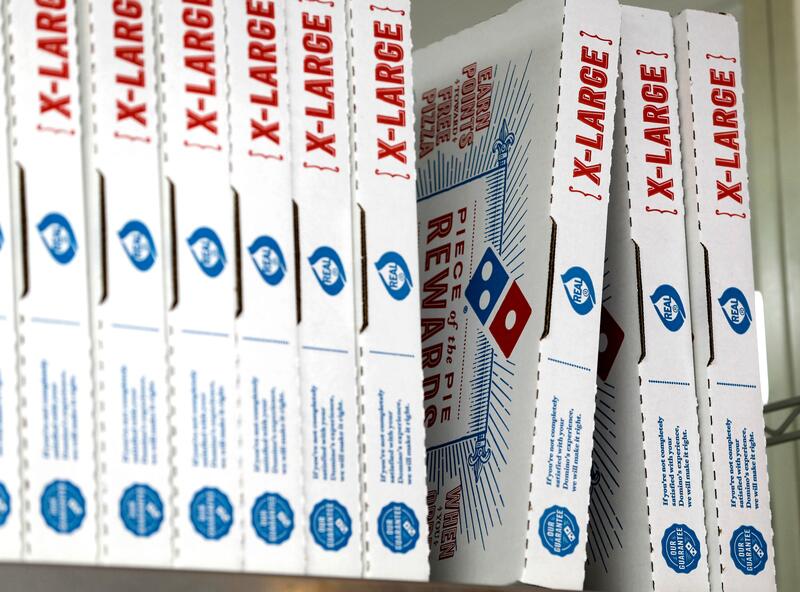 Domino’s Pizza Inc. says it tested the service last fall in Miami, where customers ordered outside hotels and the zoo. Dennis Maloney, the company’s chief digital officer, wouldn’t say how many deliveries were made during the test, but said it was enough to decide to roll it out nationwide. Franchisees chose the hotspots, including local dog parks and airports. Drivers will pull up to the curb to meet customers, Domino’s said, and people can tell the app what they’re wearing so they’re easier to spot. Published: April 16, 2018, 2:13 p.m. Updated: April 16, 2018, 6:45 p.m.